The nuclei in their ground state can have a spherical or a deformed shape. The strength of the deformation depends on the mass region. Transitional nuclei belongs to the region between spherical and strongly deformed nuclei (transitional region) in the nuclear chart. Transitional nuclei are know to be soft with respect to deformation changes where their deformation strength and shape can be changed easily as a function of excitation energies and nucleon numbers. Phenomena like collective excitation, transition from collective to single-particle excitation (band termination) can be investigated using in-beam gamma-ray spectroscopy. 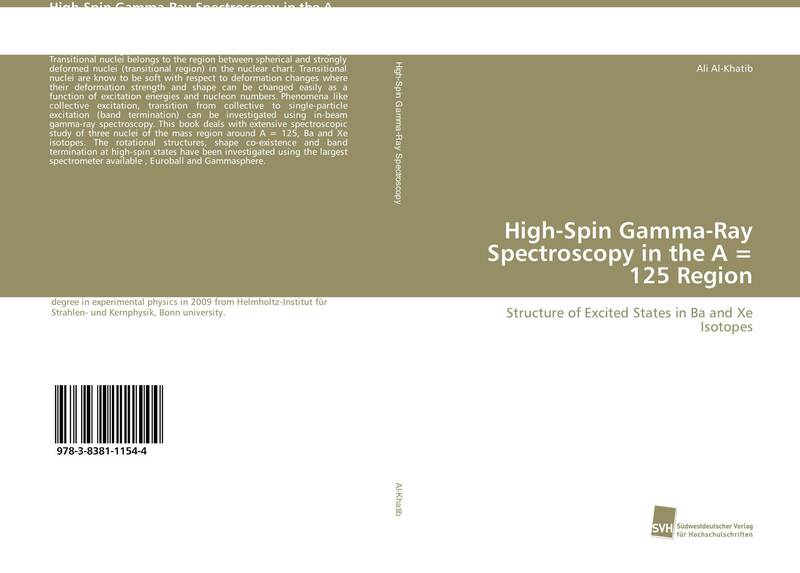 This book deals with extensive spectroscopic study of three nuclei of the mass region around A = 125, Ba and Xe isotopes. The rotational structures, shape co-existence and band termination at high-spin states have been investigated using the largest spectrometer available , Euroball and Gammasphere.